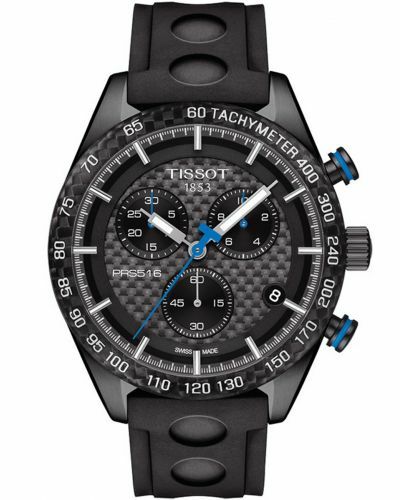 This salient men’s watch is brought to you by world renowned Swiss watchmakers, Tissot as part of their T-Sport Powermatic collection. Truly remarkable the PRS516 has been carefully crafted to exude nostalgia and reflect back to the 1960’s motorsports heydays. 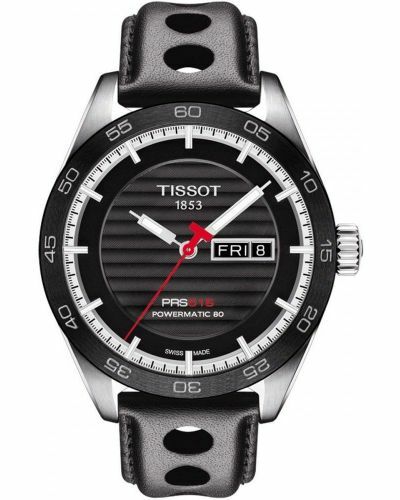 The robust 42mm brushed stainless steel round case is beautifully contrasted by the engraved Anthracite ceramic bezel. 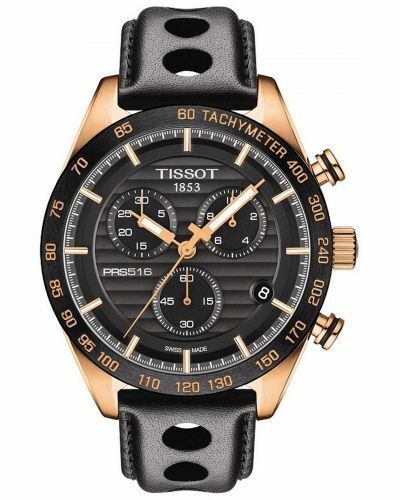 Upon reversal of the watch; the stunning Swiss movement can be observed through the glass case back; a stainless steel steering wheel design has been incorporated into the inner mechanism. The PRS516 features a deep blue split level dial with a simple striped pattern and presents a contrasting white date display window at the 3 o’clock position. White hour markers compliment the bold white indexes in which have been starkly contrasted by the innovative red seconds hand; this accentuates the subtle red highlight found encasing the bezel of this arresting men’s watch. 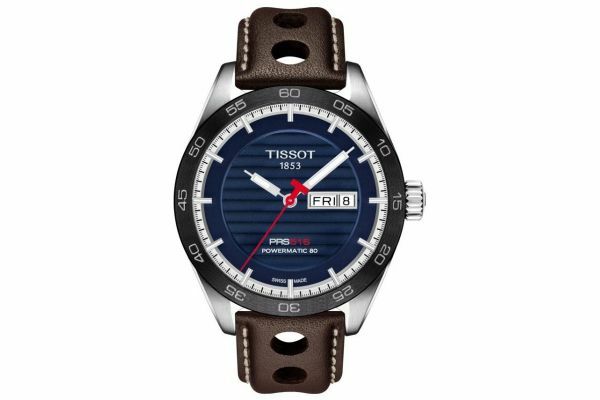 The motorsports inspired case is set upon a retro deep brown leather strap with ecru stitching; heightened by a large circular cut out design and fastened with a stainless steel butterfly clasp with push button release. 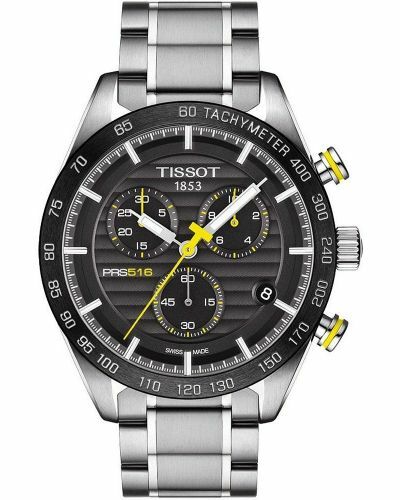 Protected by domed scratch resistant Sapphire glass the PRS516 has a double sided anti-reflective coating and is water resistant up to 100 meters. In keeping with the Powermatic ethos the PRS516 is powered by Swiss mechanical movement and has a power reserve of up to 80 hours. 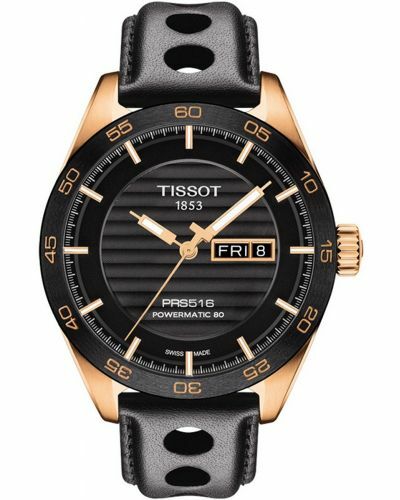 Enigmatic with its retro inspired design the Tissot T-Sports men’s watch is the perfect timepiece for a gentleman looking to make a statement. 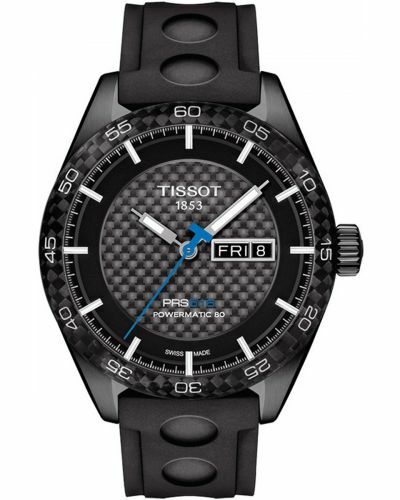 For us to size your new Tissot PRS516 watch as accurately as possible, please take a look at our downloadable Watch Sizing Guide.